Originally in the archives, accessioned 1972:58. 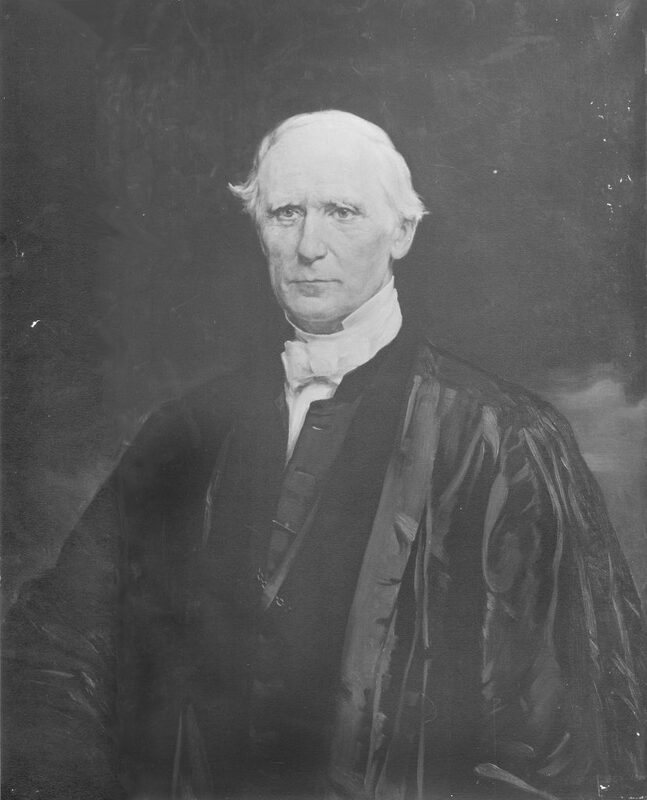 Daniel Raynes Goodwin was the ninth Provost of the University of Pennsylvania from 1860 – 1868, and an Episopal priest. He was the last clergyman to lead the University. Born in North Berwick, Maine in 1811, Daniel Raynes Goodwin was educated at the academy in South Berwick, and the Limerick Acadeny before entering Bowdoin College. After graduating in 1832, he taught breifly at an academy in Hallowell, Maine before entering Andover Theological Seminar. In 1835 Goodwin returned to Bowdoin as a tutor in the Modern Languages Department, and later named Professor of Modern Languages. Wanting to improve his languages skills, he spent two years in Europe before returning to teach full time at Bowdoin from 1837 – 1853. Goodwin was ordained a deacon in the Protestant Episcopal Churchin 1847 and a priest the following year. Goodwin left Bowdoin in 1853 to become President of Trinity College in Hartford, CT. for seven years. In 1860 he was named Provost and Professor of Moral Philosophy at the University of Pennsylvania. Goodwin’s eight year tenure at the University was uneventful, and he resigned over a difference of opinion with the Trustees regarding the creation of a scientific school. He was awarded an honorary Doctor of Laws degree in 1868. Goodwin was active in the Episcopal Church while in Philadelphia, and in 1868 was named Dean of the Philadelphia Divinity School. Goodwin died in Philadelphia in 1890. The Daniel Raynes Goodwin Papers consist of three account books which document his expenses and financial history from 1837-1890; notes and ephemeria that were loose items in two of the account books; copies of his inaugural address as Provost of the University; and a draft of a letter to the Trustees regarding the abolishment of Saturday recitations.